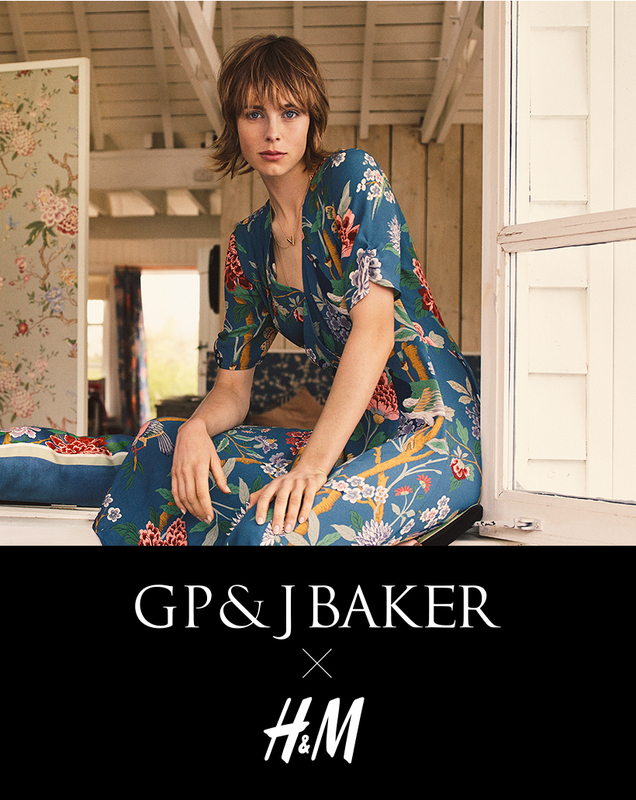 GP & J Baker and H&M’s historic collaboration is wielding incredible results with its stylish clothing and fanfare, but where did these fashionable patterns come from? The entire collection originates in the venerable GP & J Baker archive. Here’s a closer look at the history behind the designs. A beautiful bird and branch design in the tradition of antique Chinese wallpapers. 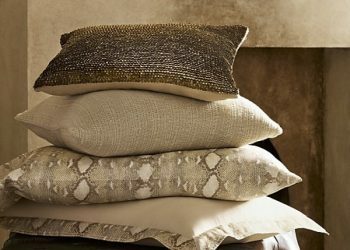 Around 1910 G P & J Baker began to produce patterns on a more delicate scale to suit the slender grace of Edwardian furnishings. 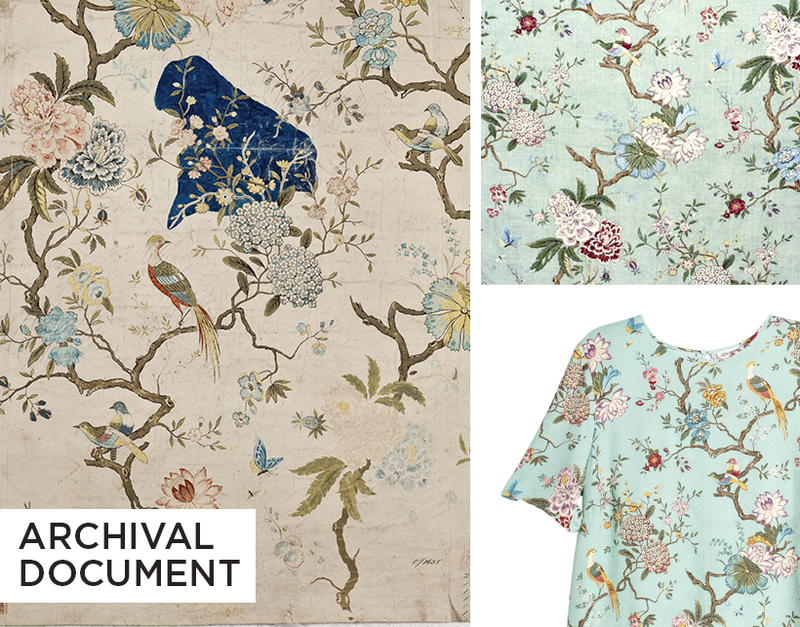 The crested bird that gives this fabric its name evokes the exoticism of the miniature paintings of Mughal India. 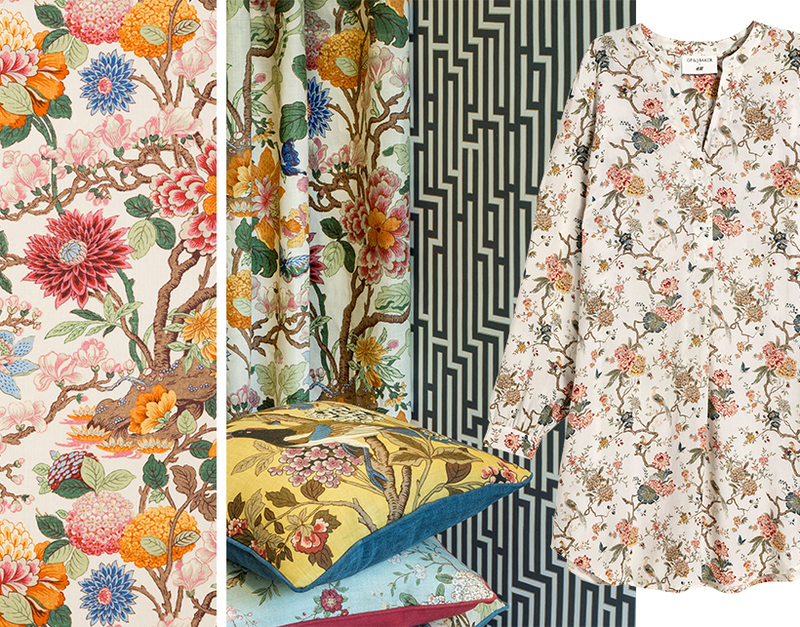 Magnolia remains the best loved of five designs for block prints that William Turner painted for G P & J Baker in 1913. It is a pattern in the tradition of flowering trees from hand-painted Chinese wallpapers. The Asian magnolia flowers are seen in the spring before the emergence of the leaves. Turner has enlivened the magnolias with large bursts of chrysanthemum and hydrangea blossom, while butterflies hover amid the fragrant scene. Magnolias were among the first flowering plants on earth, and were cultivated in China from ancient times, becoming a symbol of purity and honesty. 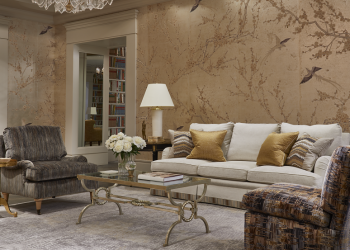 This exquisite design in the Japanese tradition has been sourced from the GP & J Baker archive. The stylized rendering of the delicate blossoms and budding leaves of the Blackthorn bush, a native tree to the woodlands of England, are depicted on slender, multi directional stalks. The wood of the Blackthorn, often used for walking sticks, was the traditionally used to make Irish shillelaghs and its berries make the gloriously rich sloe gin. 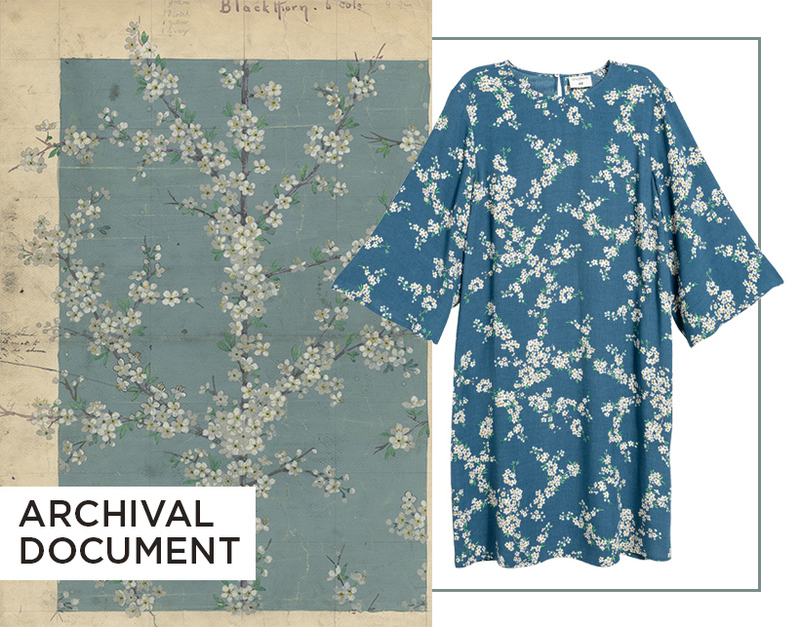 Dating from 1915, just before the Art Deco period, when Early Modernism was inspired by the Japonisme style, stark, yet pretty florals like this were ideally suited to the fashion of looser kimono styles. This design was taken from the delicate background trails of a large set of early 20th century Chinese hand painted wallpapers discovered in a house in St Paul’s Cray, Kent, These wallpapers were first used as source material in 1922 while still in situ and later purchased by GP & J Baker before the house was demolished. Each of the twenty panels shows a different flowering tree visited by birds and butterflies and represents a golden idyll of tranquility and harmony. 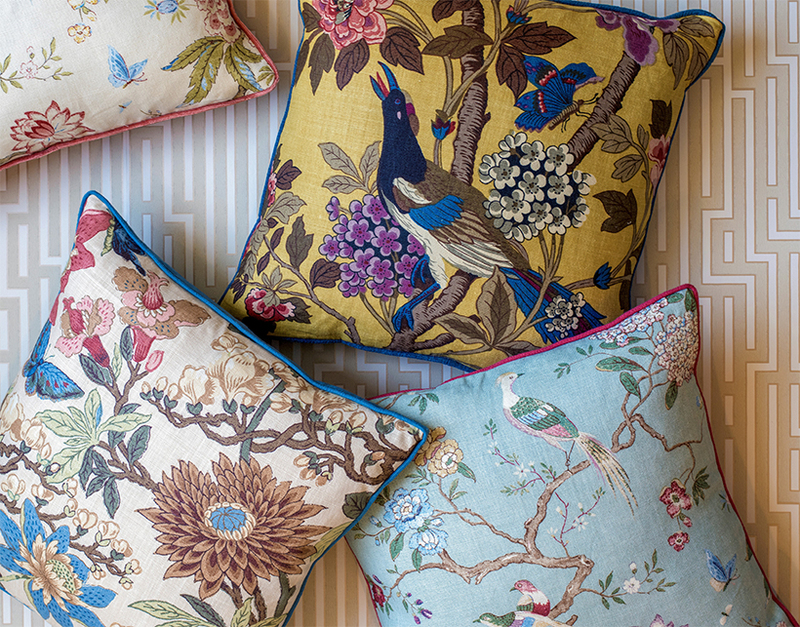 Inspired by a fragment of Chinese wallpaper dating back from the 18th century and originally hand block printed, it depicts majestic pheasants in an exotic flowering tree. 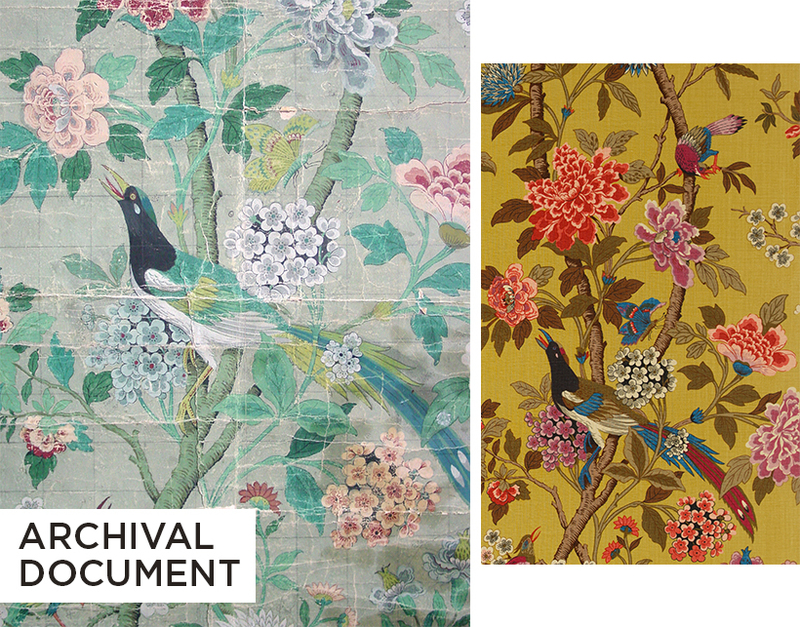 Hydrangea Bird has remained in constant demand over the last 100 years and was originally painted in 1917 by William Turner an important textile designer of the time. 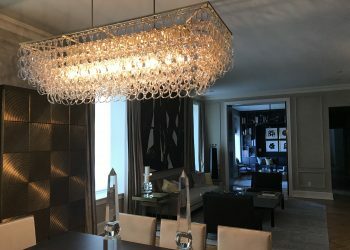 An homage to the decorative inlay work of the Art Deco designer, Jean Durand, the architectural form of this fretwork, emphasized by a contrasting outline, resembles the intricate designs of mid-18th century Chinoiserie furniture. 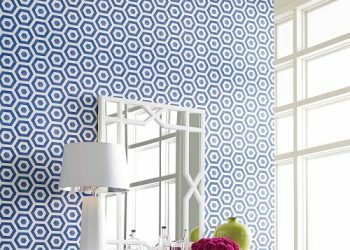 Inspired by the symmetrical patterns of French parterre gardens, which became fashionable in England from the early 17th century, this design is reminiscent of their formality with its interesting geometric layout. 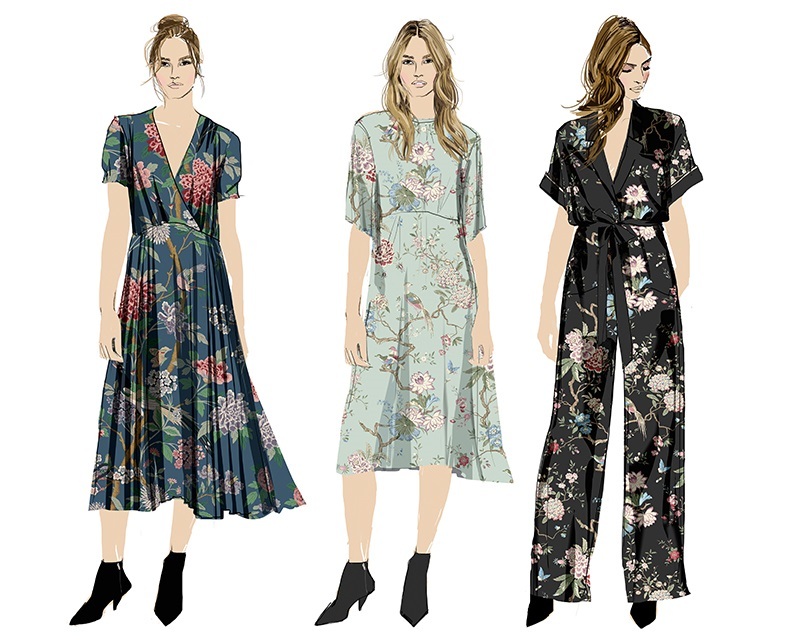 Inspired by a beautiful late 18th Century dress pattern, sourced from an English pattern book, such silhouettes were often printed onto muslin, and cotton poplin dresses. A small, perfectly scaled, geometric, its hexagon shape reflects the motifs used for centuries in Middle Eastern art particularly in the form of its superb ceramics and decorative tiles. 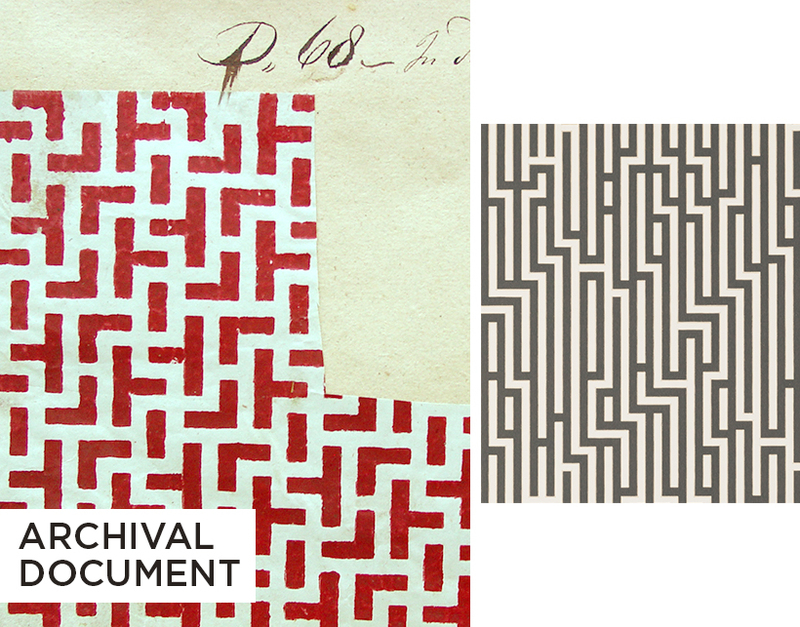 One of the earliest forms of pattern, examples can be traced back to at least 3,000 BC.